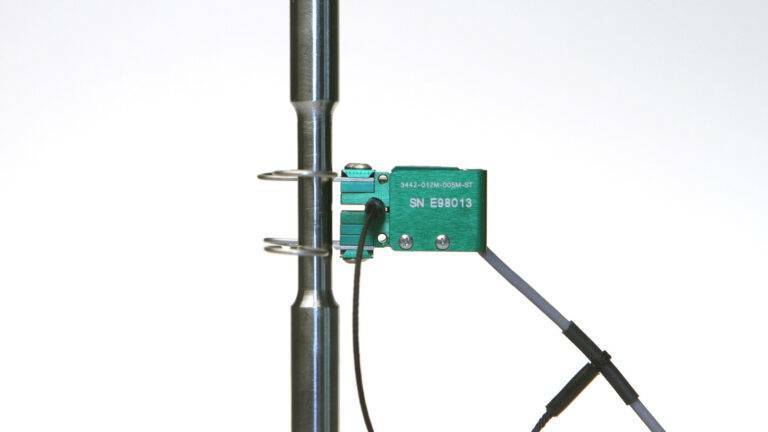 View Non-Contact Extensometers – 2 models in this group for non-contacting strain measurement. Covers a range of gauge lengths and measuring ranges. High-precision optical extensometers with the highest resolution, accuracy and speed. They measure axial strain and elongation over a wide range of applications with industry-leading performance and ease of use. 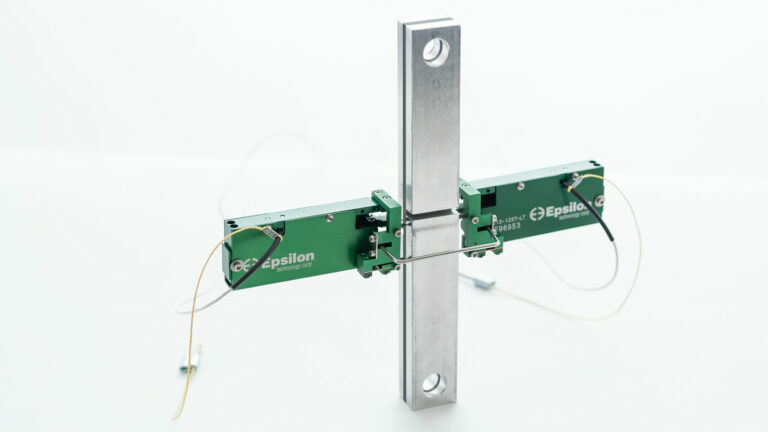 These extensometers are high precision non-contacting units for strain measurement in materials testing. They use a high speed laser scanner to measure the spacing between reflective tape strips on the sample. The measurement range is from 0.3 to 5 inches (8 to 127 mm) on the LE-05 and 0.3 to 15 inches (8 to 381 mm) on the LE-15. 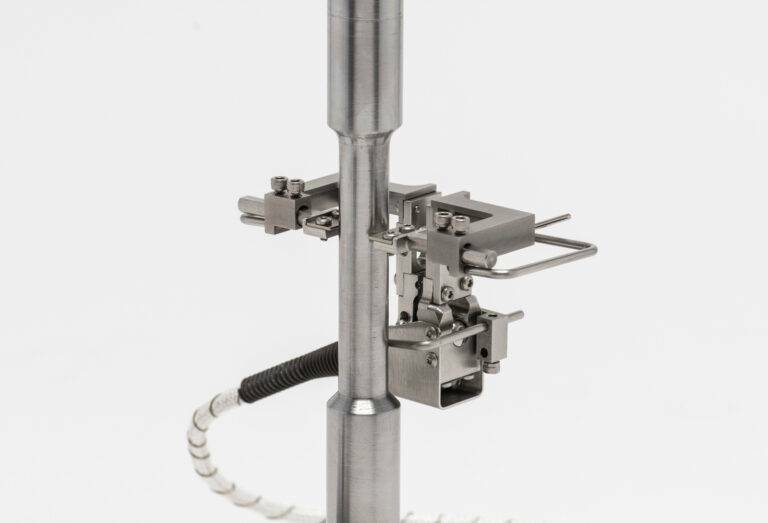 View Axial Extensometers – 7 models in this group cover tension, compression and cyclic testing with a huge variety of gauge lengths and measuring ranges. Covers temperatures from -265 to +200 °C (-450 to +400 °F). General purpose extensometers for axial tensile, compression, and cyclic testing. Gauge lengths from 10 to 80 mm (and 0.5 to 2 inches) and full scale measuring ranges from 5% to 100% strain. Small profile and ultra-light weight, these units are appropriate for testing small and delicate samples yet rugged enough for daily use on standard specimens. Ideal for wire specimens, sheet materials, and standard ASTM or ISO specimen geometries, and excellent for low and high cycle fatigue testing. 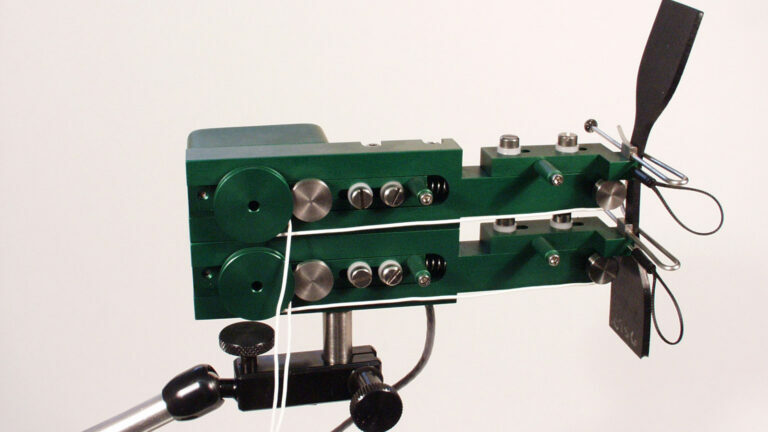 Long gauge length extensometers with gauge lengths greater than 2 inches (50 mm) for tensile and compression testing. These units have been specially designed for long gage length applications where low level strain measurements are required. This model is available in gauge lengths from 2 inches (50 mm) and larger, with measuring ranges up to 4 inches (100 mm). It is a uniquely designed unit that may be left on through specimen failure. These extensometers are widely used where long samples are required. 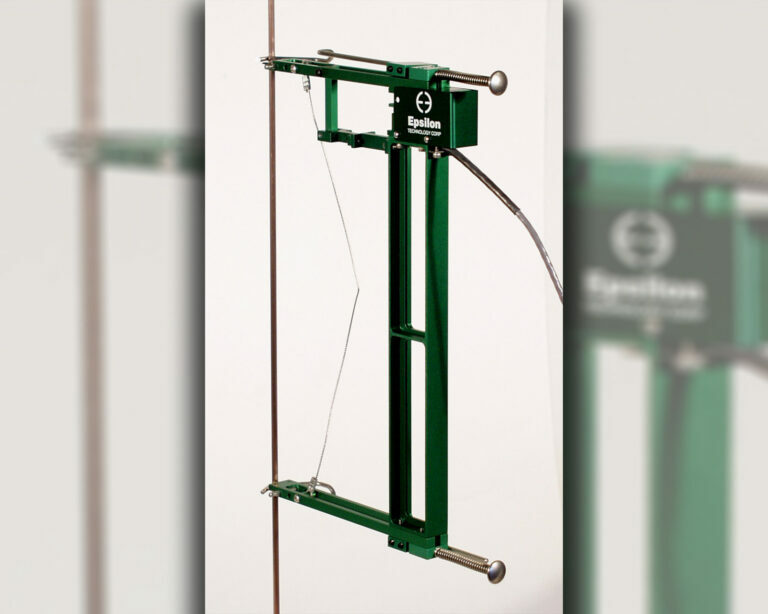 They are ideal for testing steel re-bar, weld joints, and wire materials. Measures strain on opposite sides of the specimen and outputs the average. Features self-setting gauge length. 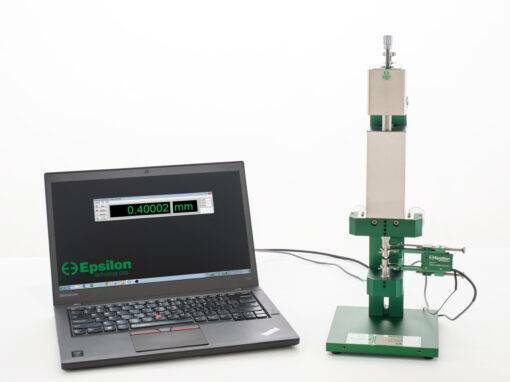 Designed for plastics, rubber and elastomer testing, these extensometers have very long measuring ranges. Their unique design allows testing to failure and minimizes interaction with the sample. View High Temp. 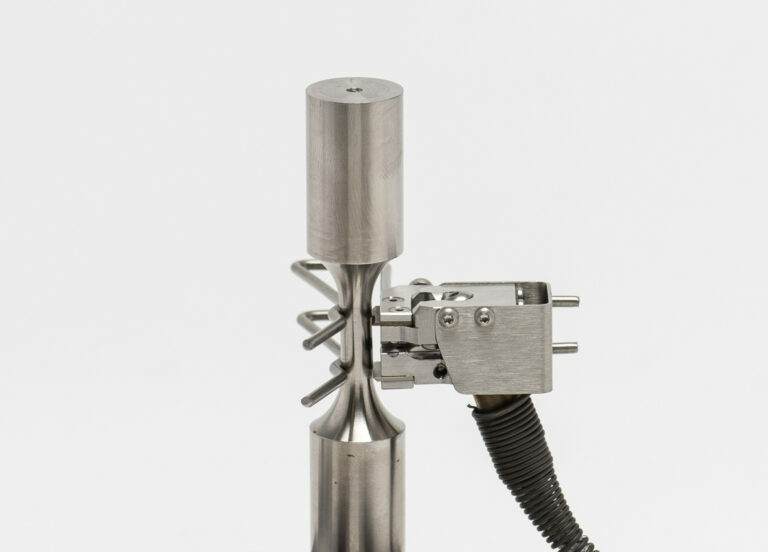 Axial Extensometers – 5 models cover a variety of applications for high temperature testing and one un-cooled model for use inside chambers up to 600 °C (1000 °F). Other models for use with split furnaces and induction heating, up to 1600 °C (2900 °F). 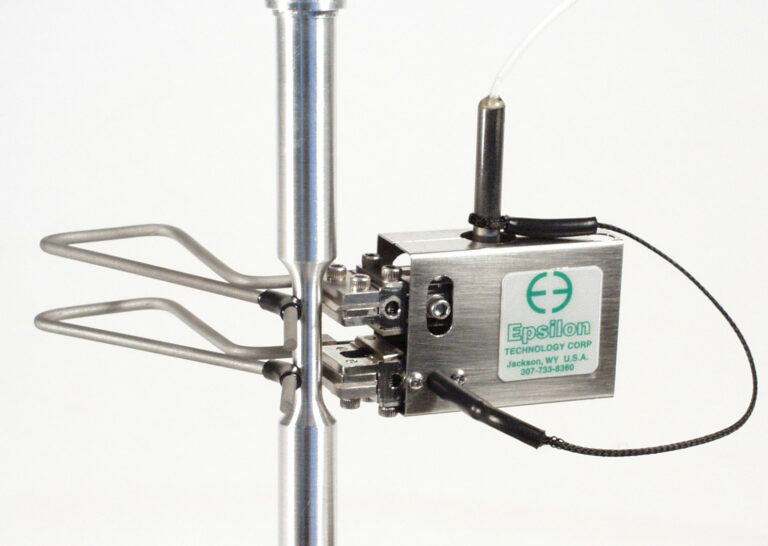 Designed for use with furnaces and induction heating systems, these extensometers use Epsilon’s exclusive, self-supporting design. A wide range of options cover most testing applications. This model can be connected to the test sample in a few seconds. 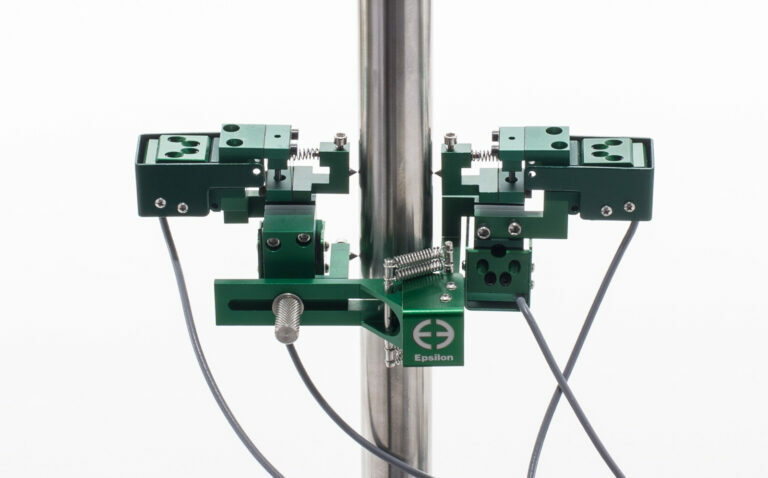 With very low sensitivity to vibrations, this hot mountable unit is ideal for the demanding requirements of strain controlled, elevated temperature axial testing and other common test methods. 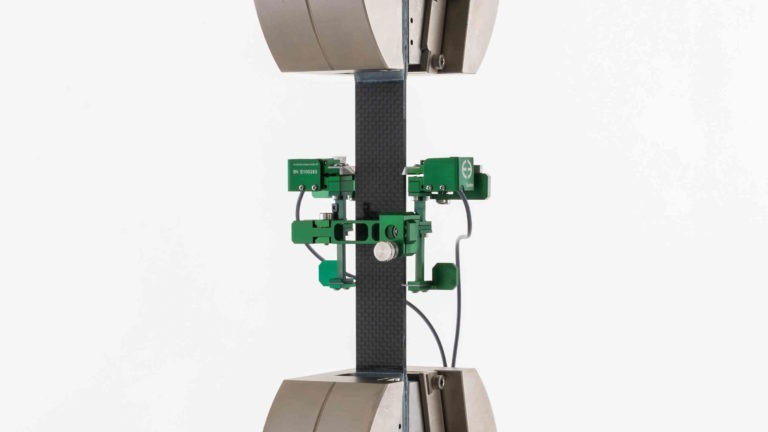 This model was designed for low strain applications for use with split type materials testing furnaces or induction heaters. 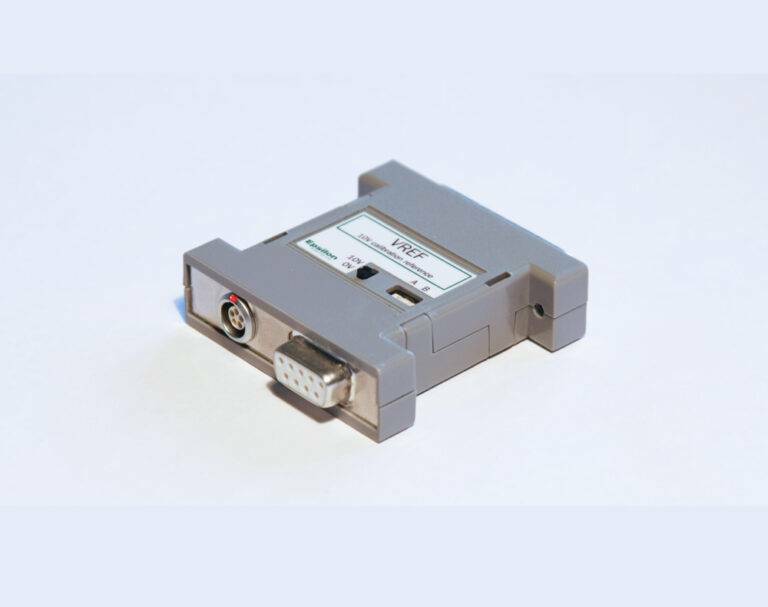 It features very low specimen contact force and includes a slide bracket for mounting. Water cooling allows use to 1200°C (2200°F) standard or 1600°C (2900°F) with the high temperature option. High precision extensometer measures axial strains on specimens at temperatures up to 1600 °C (2900 °F). Compatible with materials testing furnaces or induction heating. May be used for strain-controlled, high frequency fatigue tests. 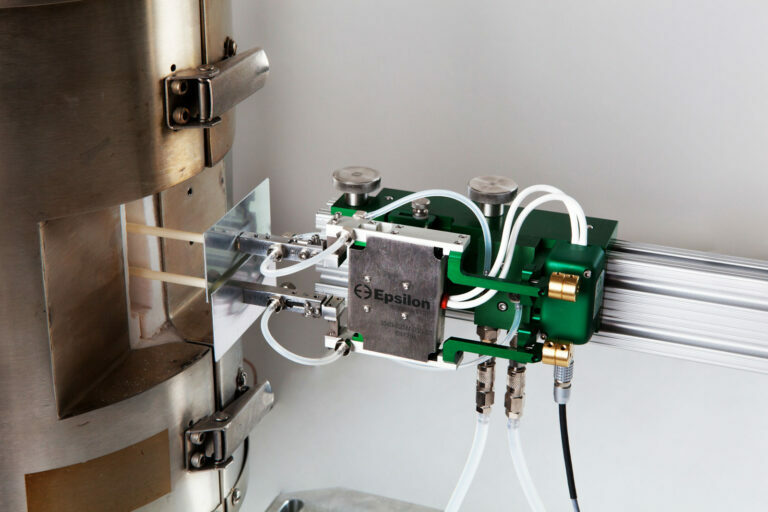 Slide mounting system enables mounting to hot specimens in seconds. For use in environmental chambers where the entire extensometer must be exposed to elevated temperatures. These capacitive extensometers may be used up to 700 °C (1100 °F) without any cooling. 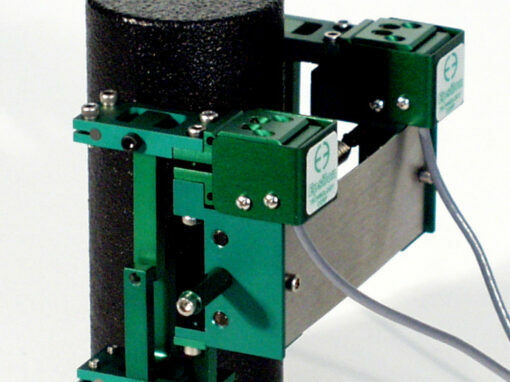 View Fracture Mechanics Clip-On Gages – 3 models cover a broad range of gauge length, measuring ranges and temperatures, for fracture tests in compliance with various standards. 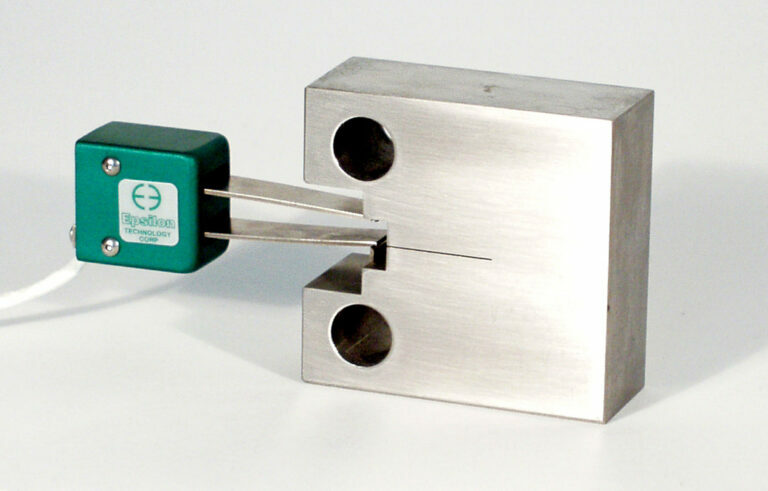 For fracture mechanics studies, these COD gages are in compliance with standardized test methods, such as ASTM E1820 for determination of fracture toughness properties of metallic materials. High temperature COD gages for use in split type materials testing furnaces with a slot for the ceramic rods. Water-cooled and furnace bracket mounted, these extensometers are for use to 1200 °C (2200 °F). The high temperature option allows use to 1600 °C (2900 °F). 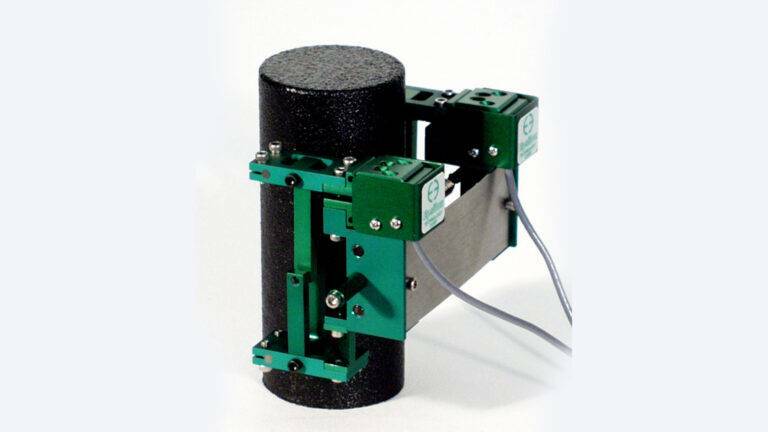 They are specifically designed for fracture mechanics testing. 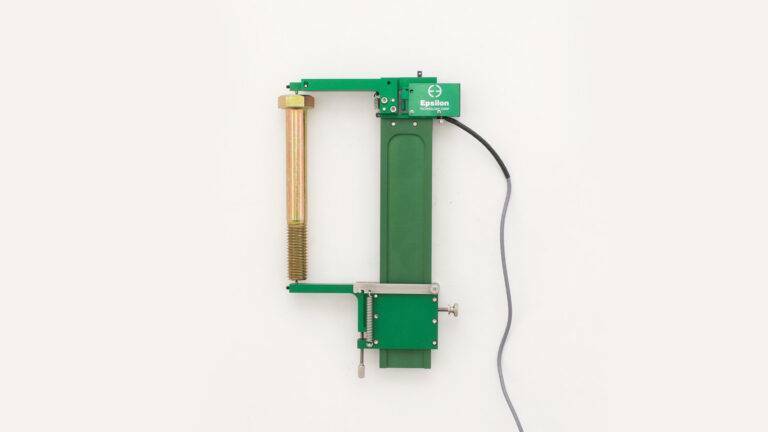 Designed for fracture mechanics testing in environmental chambers where the entire gage must be exposed to elevated temperatures. 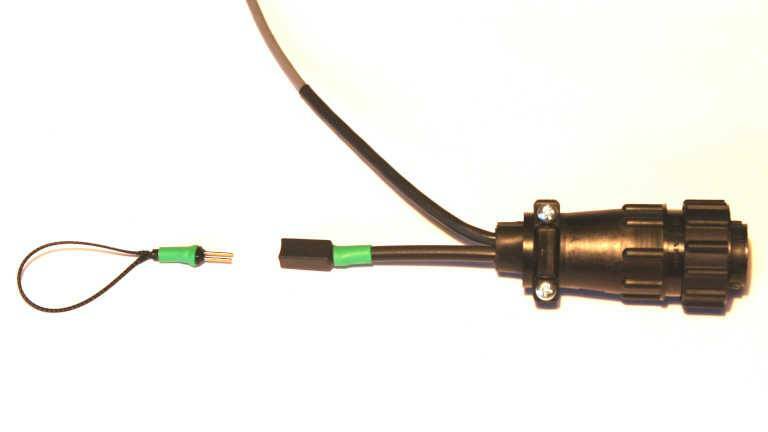 These capacitive sensors may be used up to 700 °C (1300 °F) without any cooling. 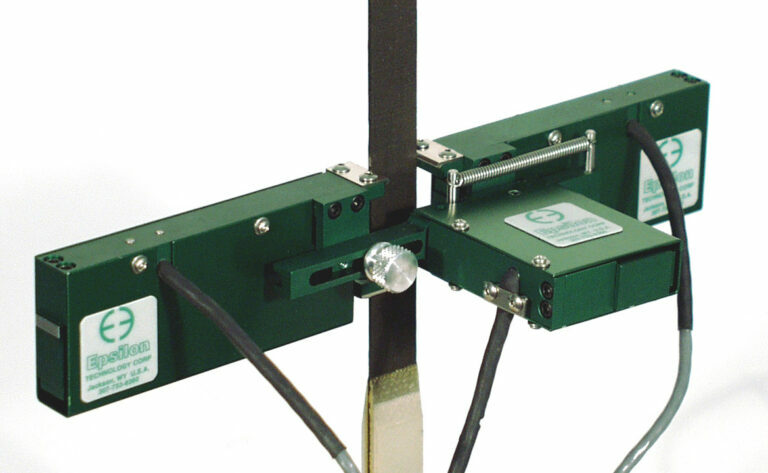 View Deflectometers – Widely used for measuring deformations in three and four point bend tests, compression tests and a variety of general purpose deformations. Widely used for measuring deformations in three and four point bend tests, compression tests and a variety of general purpose deformations. These strain gaged devices come with a magnetic base for easy mounting. 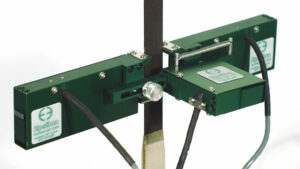 Designed for general purpose transverse or diametral strain measurement on axially loaded specimens. 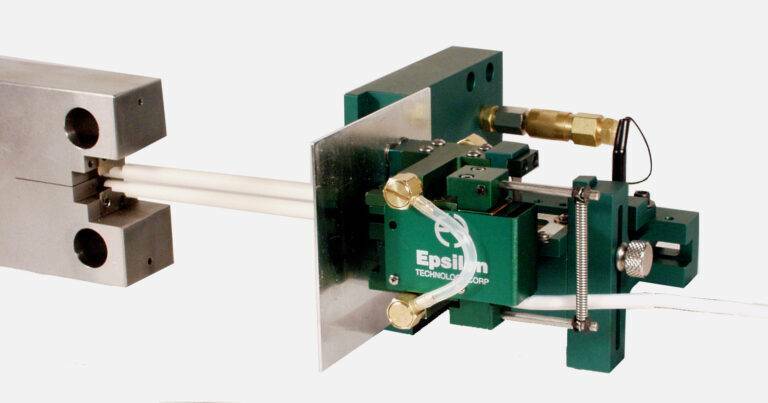 This model may be used simultaneously with the Model 3542 axial extensometer. 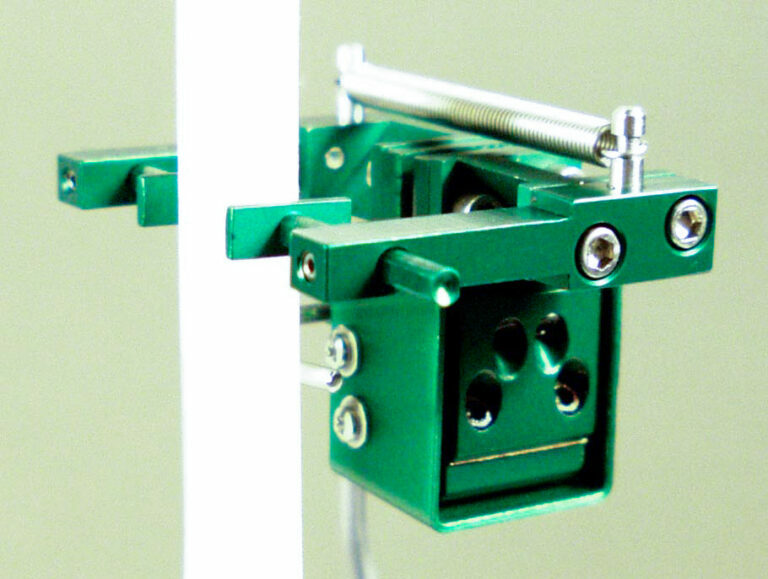 A miniature extensometer designed for general purpose transverse or diametral strain measurements on small or thin specimens. May be used simultaneously with the Model 3442 miniature axial extensometers or the Model 3542 axial extensometers. A single integral unit provides simultaneous lateral (transverse) strain and averaged axial strain measurements. 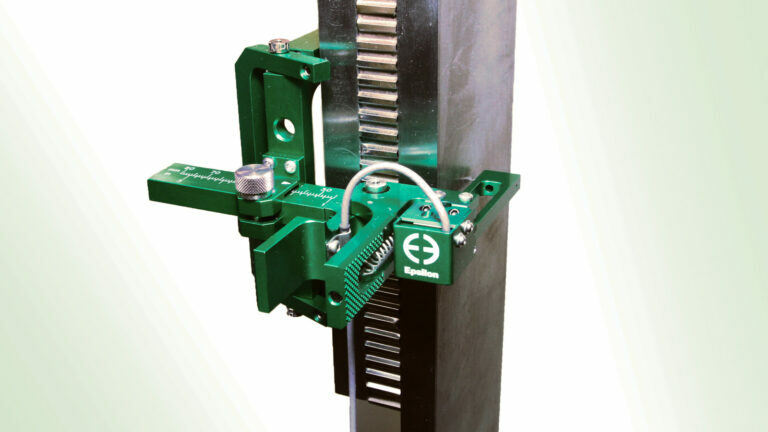 Designed for measuring r-values in sheet metal testing, this extensometer averages the lateral strain at two locations. 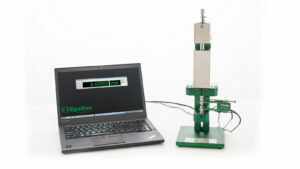 This model may be used simultaneously with the Model 3542 axial extensometer. View High Temp. Transverse and Diametral Extensometers – One un-cooled unit for use inside chambers to 600 °C (1000 °F) and one model for use with split furnaces and induction heating, to 1000 °C (1830 °F). 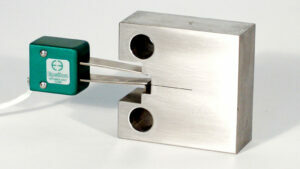 For transverse or diametral strain measurements at temperatures to 1000 °C (1832 °F). These extensometers may be used with furnaces having a side entry slot for an extensometer or with induction heating systems. They utilize a proprietary, rugged dual flexure design. 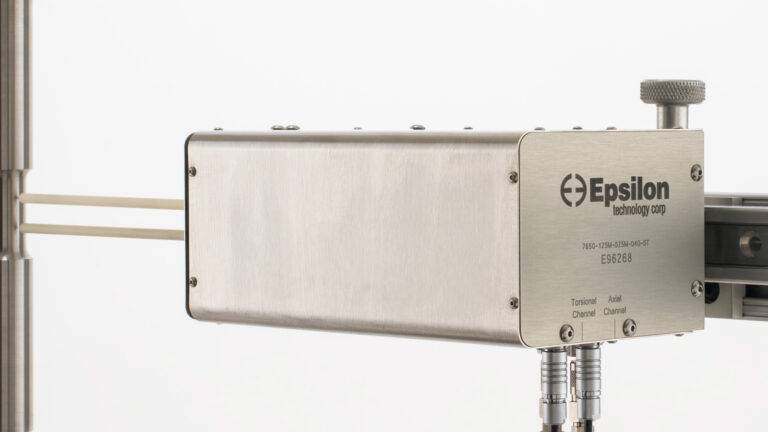 Designed for transverse or diametral strain measurement in environmental chambers where the entire extensometer must be exposed to elevated temperatures. These capacitive extensometers may be used up to 700 °C (1300 °F) without any cooling. 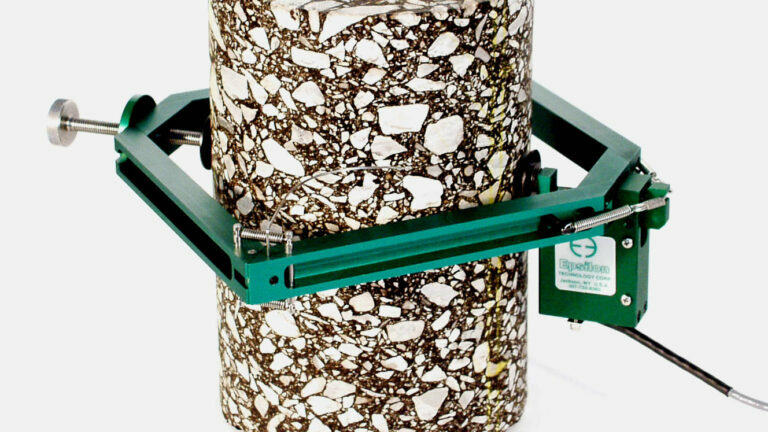 View Rock, Concrete and Asphalt Extensometers – Seven models cover axial, circumferential and diametral testing on aggregate material. 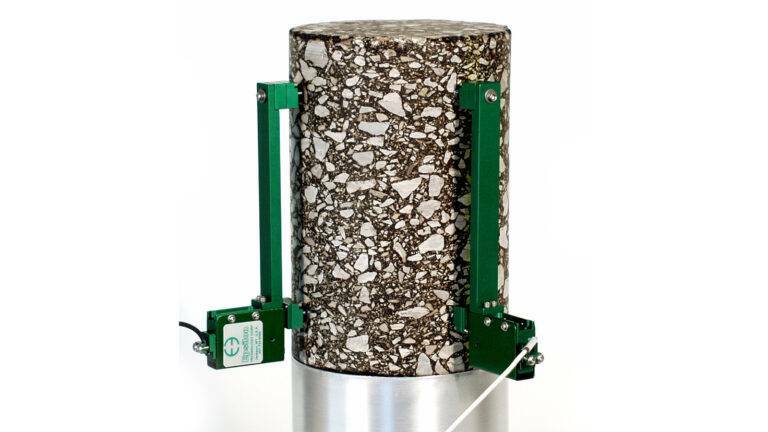 Designed primarily for compressive strength tests on rock, concrete and other large compression samples, this model measures axial strain on opposite sides of the test specimen, and the output is an average of the two readings. 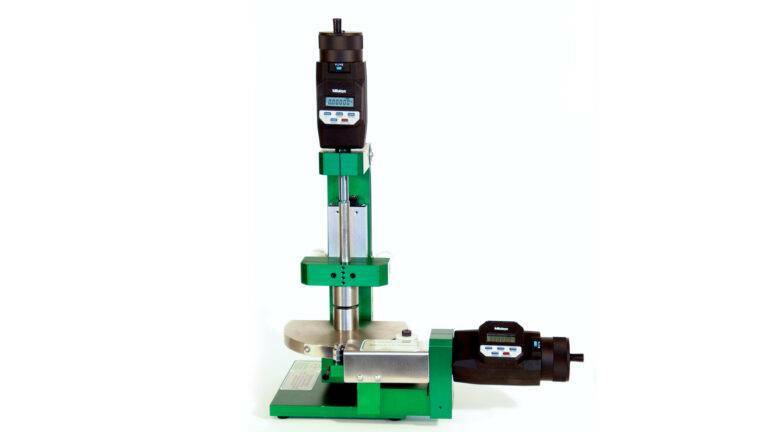 With gauge lengths of 1 and 2 inches (25 and 50 mm) and measuring ranges of 0.050 and 0.100 inches (1.2 and 2.5 mm), the Model 3442RA1 was designed for applications where tensile or compressive strength tests on small rock, concrete and other small compression samples is desired. 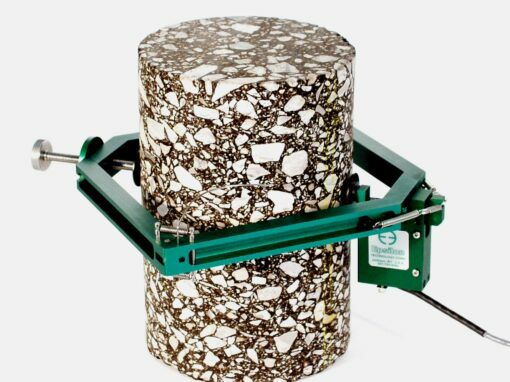 Designed for concrete and rock compression testing or for compression tests on other large samples. This model may be used simultaneously with the Model 3542RA axial extensometers. 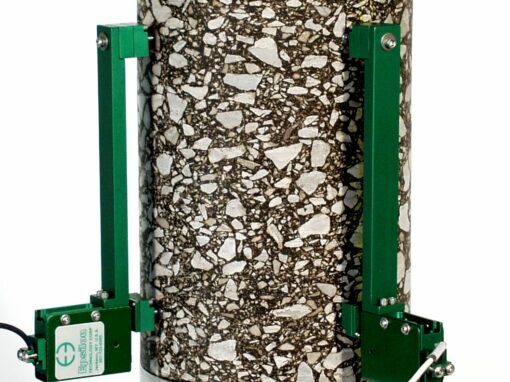 Designed for measuring axial displacements in the simple performance tests prescribed by NCHRP Report 465, and determining dynamic modulus of hot mix asphalt per AASHTO TP062. Designed to meet many of the needs for testing asphalt core samples in 4 and 6 inch diameters. It meets test method requirements for strain measurement developed under the U.S. Federal Highways SHRP program. 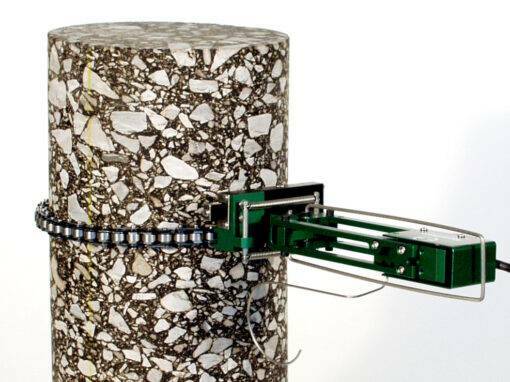 Designed for accurate measurement of small diametral strains such as those required to determine Poisson’s ratio of rock, concrete and asphalt samples. 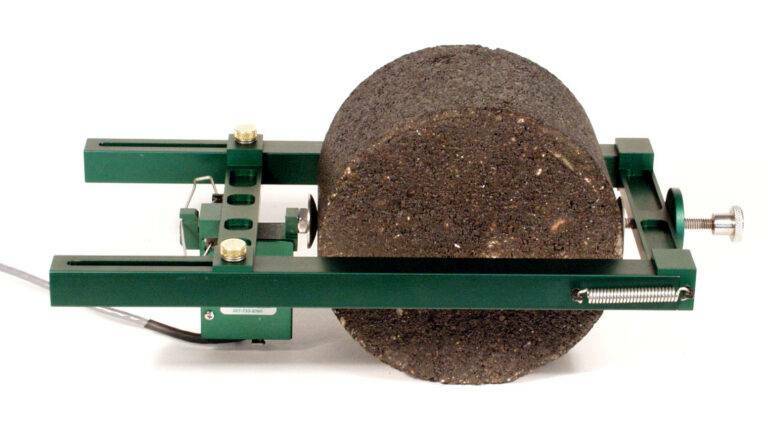 The units are designed to be used in conjunction with the Model 3542RA axial averaging extensometer. View Averaging, Bi-Axial and Axial/Torsional Extensometers – 4 models for axial averaging, axial/transverse, axial/torsional, and in-plane biaxial over a wide range of temperatures. 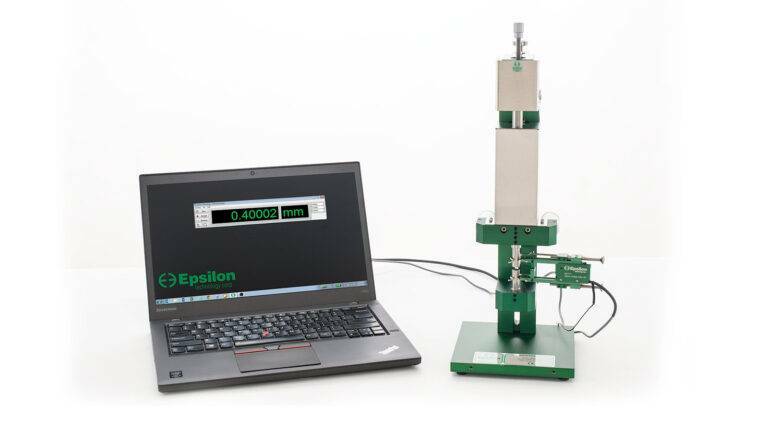 Designed for simultaneously measuring axial and torsional deflections on specimens tested in axial/torsional machines. 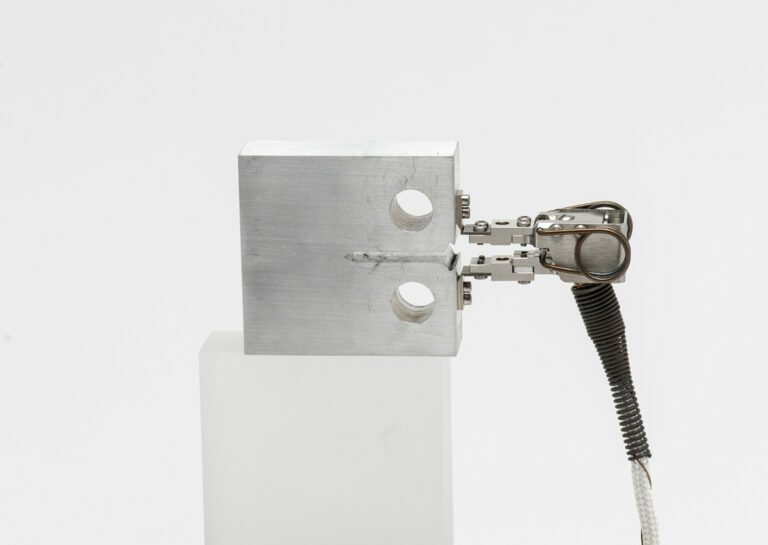 Simultaneously measures axial and torsional strains at high temperatures on specimens tested in axial/torsional machines. For use with materials testing furnaces or induction heating up to 1600 °C (2900 °F). May be used for bi-axial strain controlled fatigue. 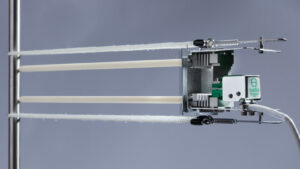 Slide mounting system enables mounting to hot specimens in seconds. Simultaneously measures in-plane bi-axial strains at high temperatures on specimens tested in X-Y bi-axial machines. For use with materials testing furnaces or induction heating up to 1600 °C (2900 °F). May be used for bi-axial strain controlled fatigue. 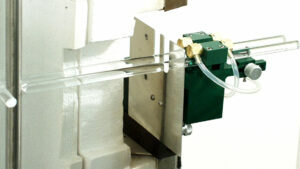 Slide mounting system enables mounting to hot specimens in seconds. 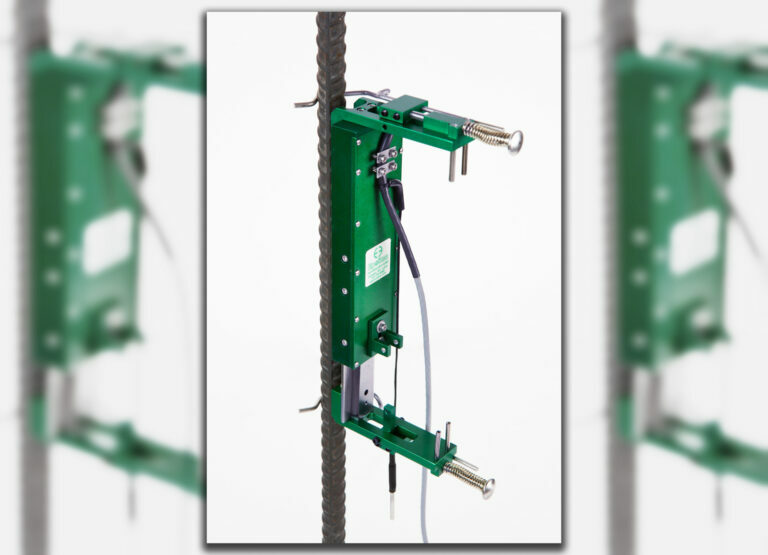 Bolt Proof, Lap Shear & Specialty Extensometers – Specialized extensometers for bolt proof testing, rebar splice assemblies, lap / sandwich core shear, and testing while submerged in liquids. 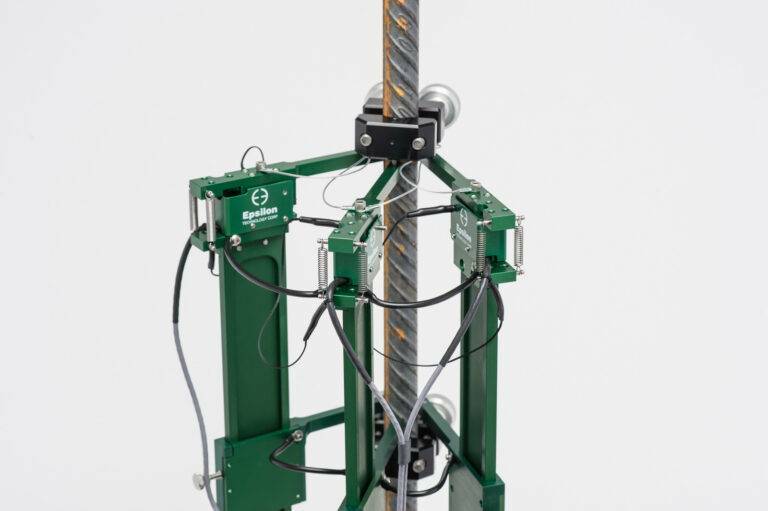 Designed for measuring small measuring strain ranges as required for proof load testing of bolts and similar applications such as yield measurement. 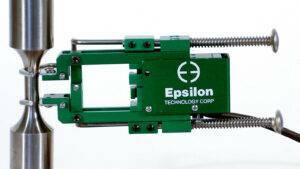 Extensometers for measuring elongation of rebar coupler, splice, and sleeve assemblies. 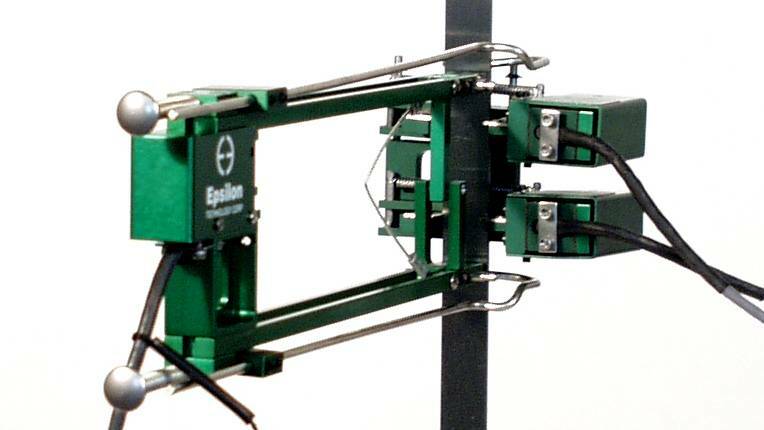 Use for tension, cyclic, slip, and differential elongation tests. 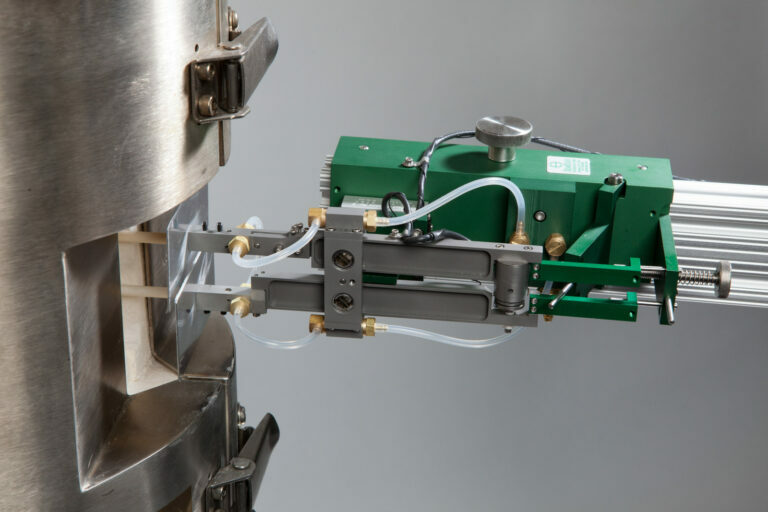 Designed specifically for performing tests in accordance with ASTM D5656, Standard Test Method for Thick-Adherend Metal Lap-Shear Joints for Determination of the Stress-Strain Behavior of Adhesives in Shear by Tension Loading. The deformation is measured on opposite sides of the test specimen and the output is an average of the two readings. 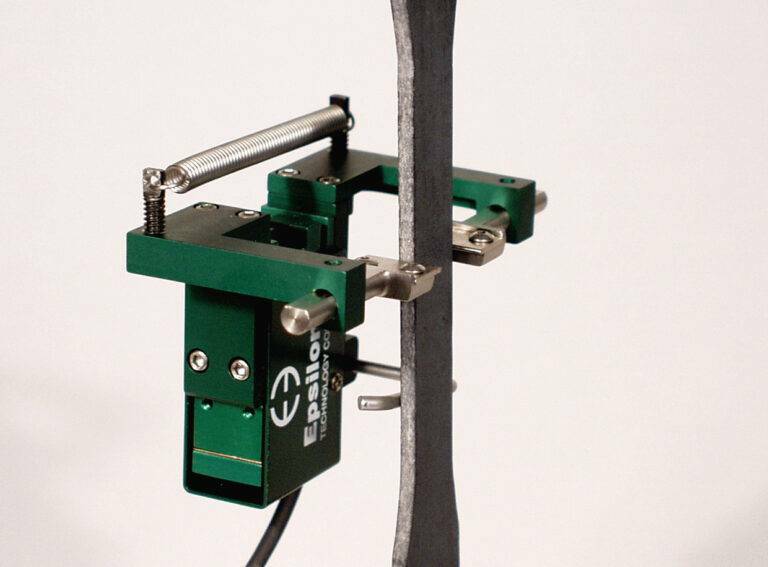 For measuring shear properties of sandwich cores to ASTM C273. Simple clip-on design attaches in seconds and provides repeatable test results. 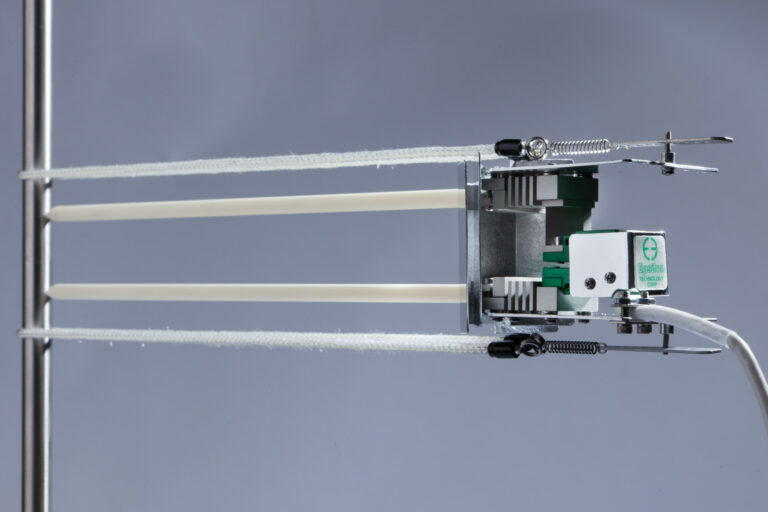 Submersible extensometer designed for performing tests in water, saline solutions, and other liquids compatible with the materials of construction. View Interface Electronics and Signal Conditioners – For customers who do not have signal conditioning as part of their test controls. One analog and three digital versions for strain gaged sensors. 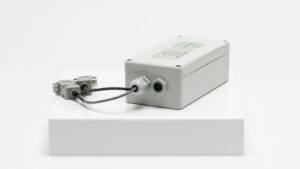 The SGA series signal conditioners are ideal for cyclic and high speed testing where no display is needed. Available in single and dual channel versions, they provide the signal conditioning electronics needed for a strain gage based extensometer. 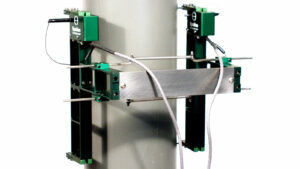 Designed as an inexpensive solution for static mechanical testing where no digital display is required. The DSC-DD is a digital signal conditioner with analog output. 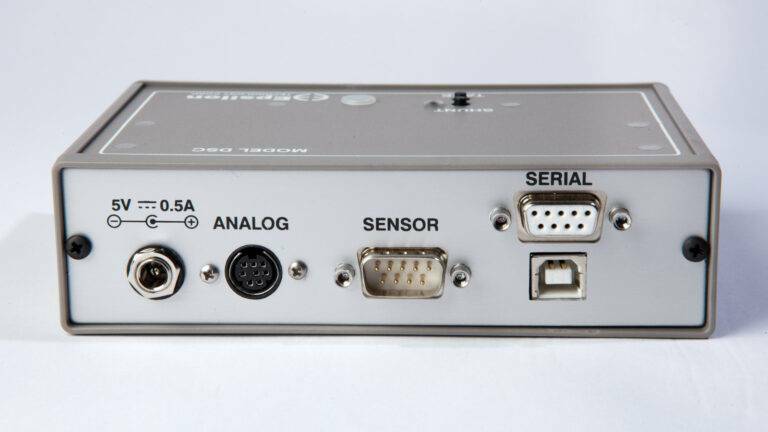 All calibration is handled by software via an RS232 connection. 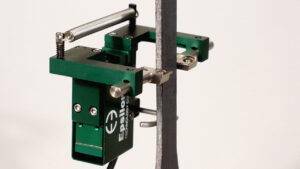 The sampling rate is well suited for typical tensile and compression tests. They provide all the signal conditioning electronics needed for a strain gage based extensometer. Designed for general purpose testing, these conditioners are available with one or two channels, and can be used as full system replacements for older test systems. This provides a low cost way to obtain the data for stress-strain plots. The automatic recognition feature allows multiple extensometers to be calibrated individually on one meter. 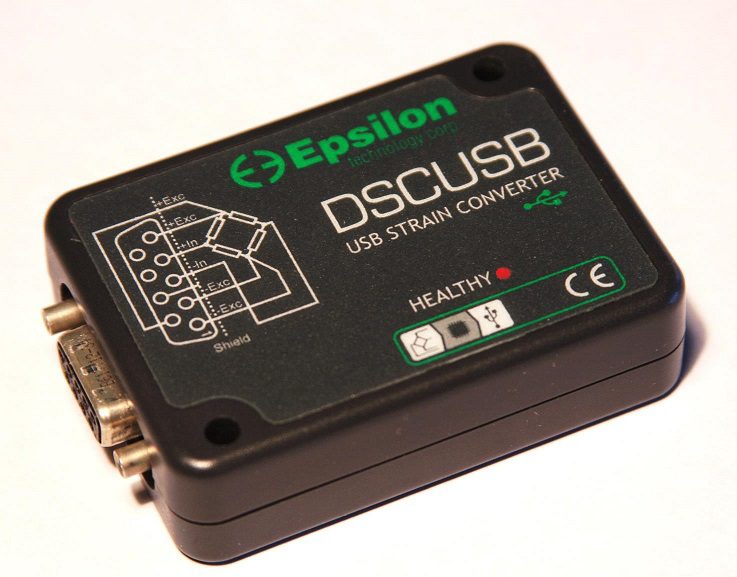 The DSCUSB provides USB plug-and-play capability to any strain gauged extensometer. They are useful when you wish to acquire data directly to your computer without the need for a controller. View Calibrators – Digital models with up to 20 nanometer resolution; axial and axial/torsional models. Provided with calibration traceable to NPL. 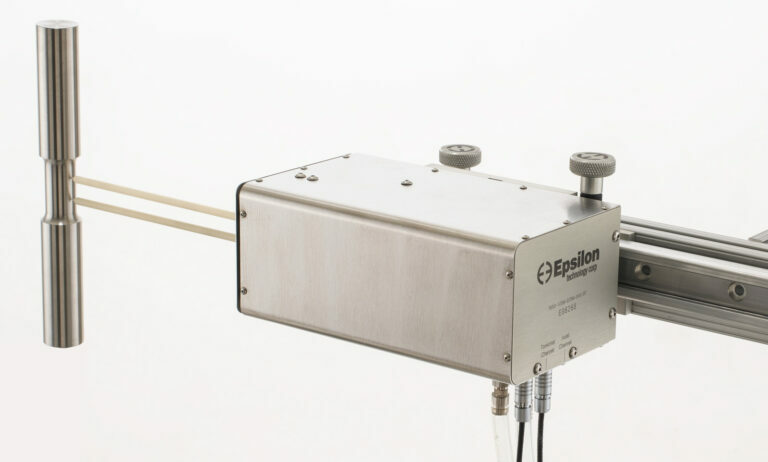 Epsilon’s very high resolution calibrator features 20 nanometers (0.8 microinches) resolution and has 50 mm (2 inches) of measuring range. The 3590VHR is provided with software to display the calibrator readings and optional netbook PC or digital display. The 3590VHR calibrator meets the accuracy and resolution requirements for ASTM E83 Class B-1 for a 6 mm gauge length and greater extensometers and ISO 9513 Class 0,5 over the full measuring range of the calibrator. 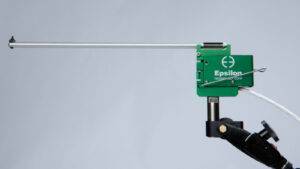 Epsilon’s standard calibrator features 0.001 mm (50 microinches) resolution and has 50 mm (2 inches) of measuring range. 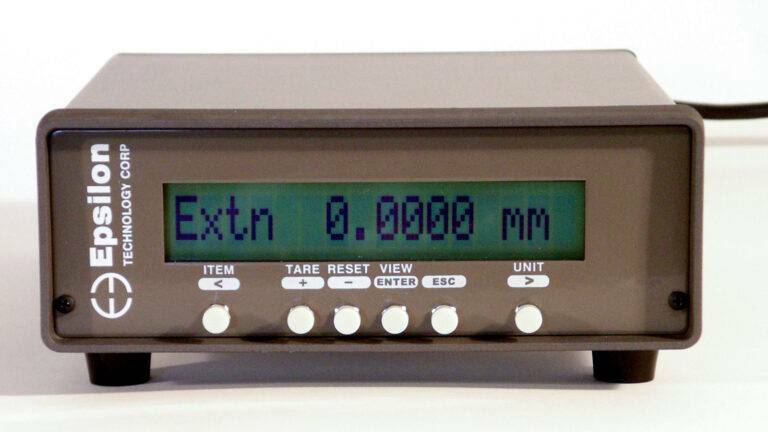 The autozero button and digital display greatly simplify calibration of extensometers. The 3590 calibrator is useful for extensometer calibration and verification with test systems. 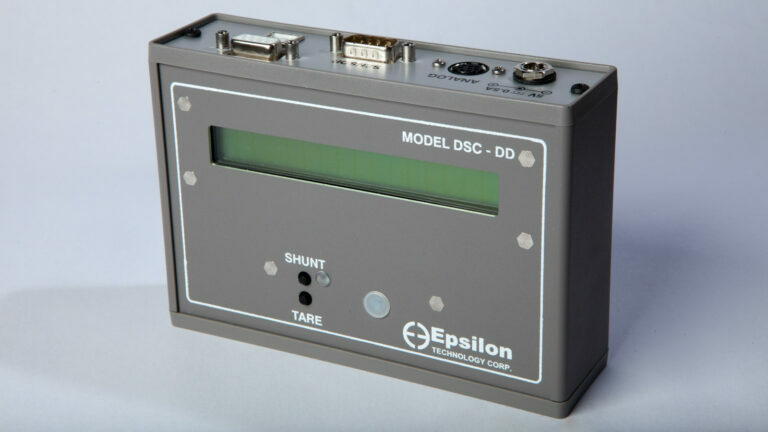 Epsilon’s axial/torsional calibrator features 0.001 mm (50 microinches) resolution. It has 50 mm (2 inches) of measuring range axial and torsional rotation where 1.27 mm (0.050 inch) of linear motion equates to 1° angle of twist. The autozero button and digital display greatly simplify calibration of extensometers. 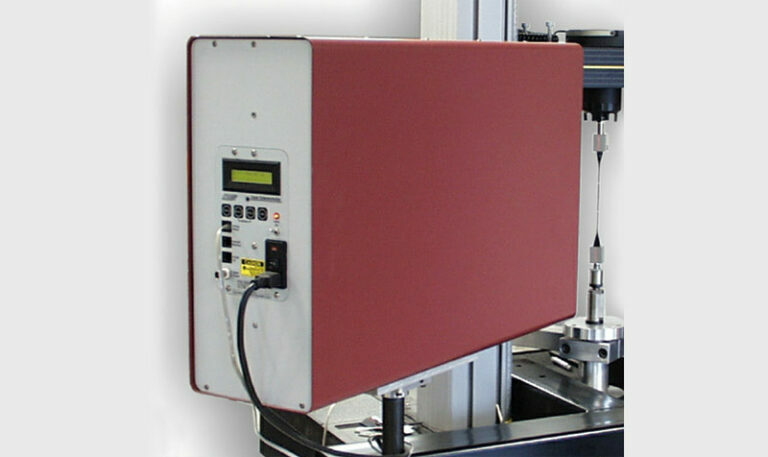 The 3590AT calibrator is designed to be used with the Model 3550 and 7650 axial/torsional extensometers. 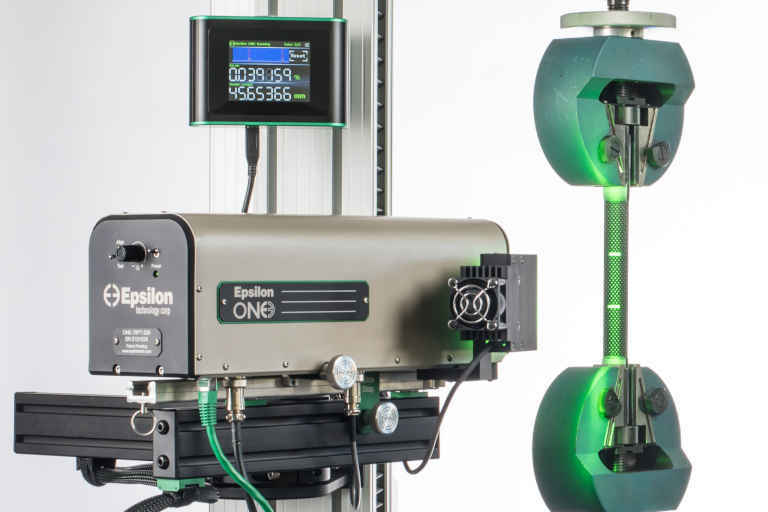 View Calibration References – A simple and inexpensive way to transfer Epsilon’s calibration of and extensometer to the existing signal conditioner in your test system controls. 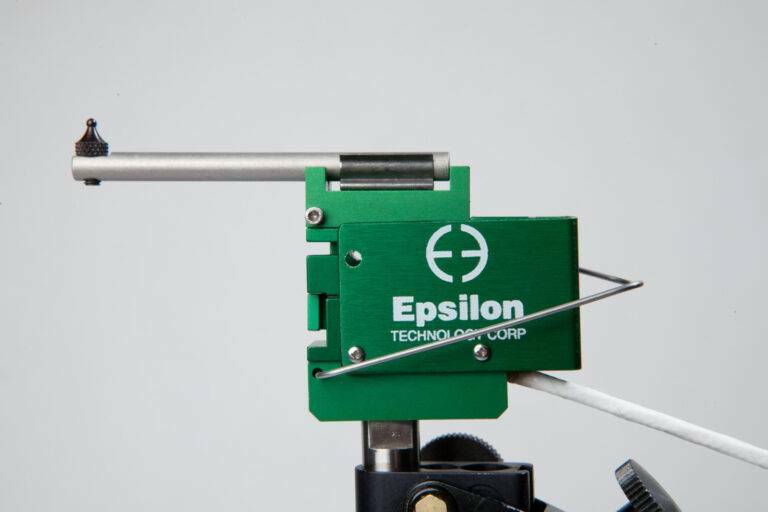 Designed to allow Epsilon’s extensometer calibration to be easily transferred to a customer’s electronics, the Epsilon Shunt Calibration System is available for any strain-gaged extensometer. 10V calibration reference for high level devices. 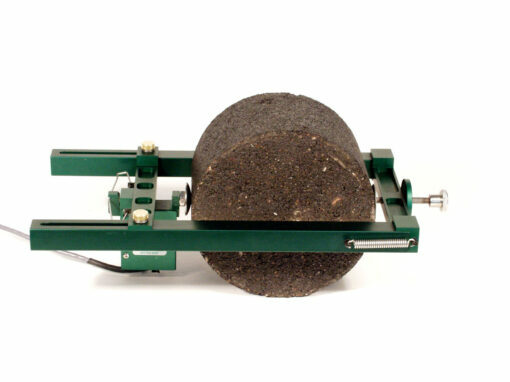 Designed primarily for compressive strength tests on rock, concrete and other large compression samples, this model measures axial strain on opposite sides of the test specimen, and the output is an average of the two readings. Gauge lengths from 25 to 200 mm (1 to 8 inches) and measuring ranges from 1.2 to 6 mm (0.050 to 0.250 inches) are available. 36 EXTENSOMETER MODELS are available in many thousands of variations. Our focus on helping customers has led to the development of models to cover nearly any test method. 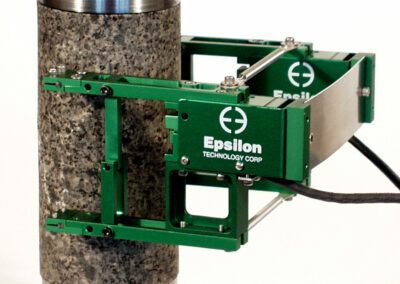 using in-house calibration systems that are calibrated with Epsilon’s laser interferometer system. to the materials testing community, you know we will be there to stand behind our products when your critical application requires it. The Model 3542RA is available in a variety of configurations. All are self-supporting on the specimen and mount very easily. For tests where a single diameter specimen is typically used, the fixed diameter Model 3542RA1 is recommended. For applications where a continuously adjustable diameter extensometer is required, the Model 3542RA2 is available. 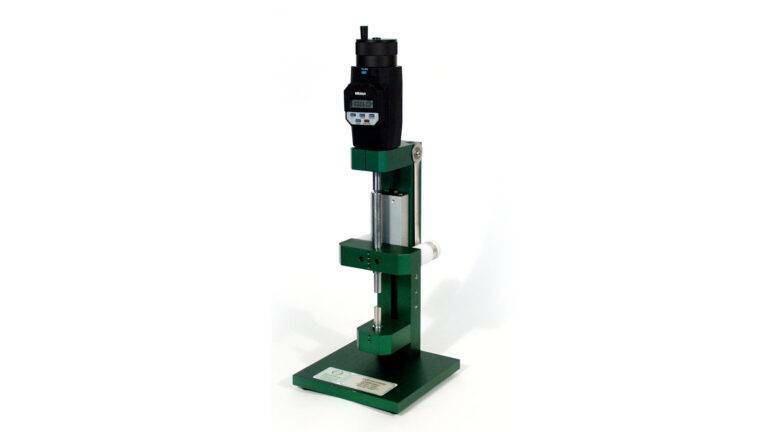 The standard configuration for this model allows it to work on samples from 50 mm to 150 mm (2 inches to 6 inches). If desired, the two readings can be independent, providing two outputs. Many rock tests are done in tri-axial pressure vessels. 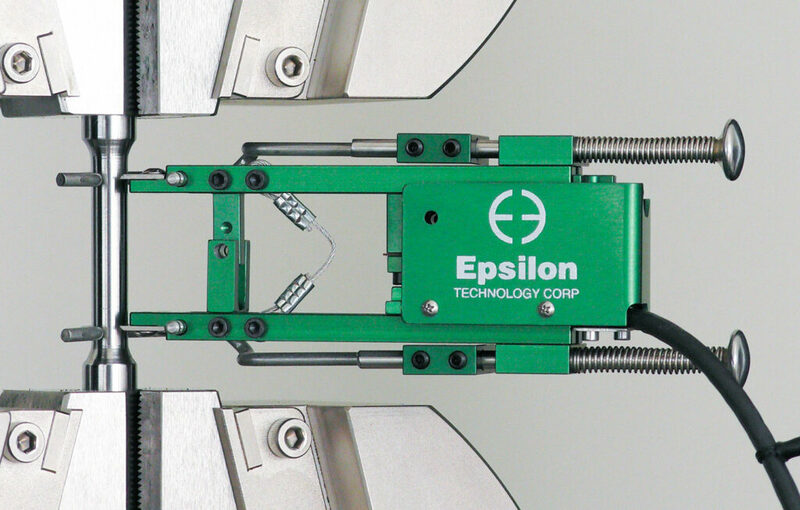 Epsilon has versions for use in oil to 1360 bar at 200 °C (20,000 psi at 400 °F). These will fit in unusually small inside diameter vessels. For small diameter specimens, we suggest the Model 3442RA1 averaging axial extensometer. All Model 3542RA extensometers are designed so they may be used together with the Model 3544 circumferential or Model 3975 diametral extensometer. 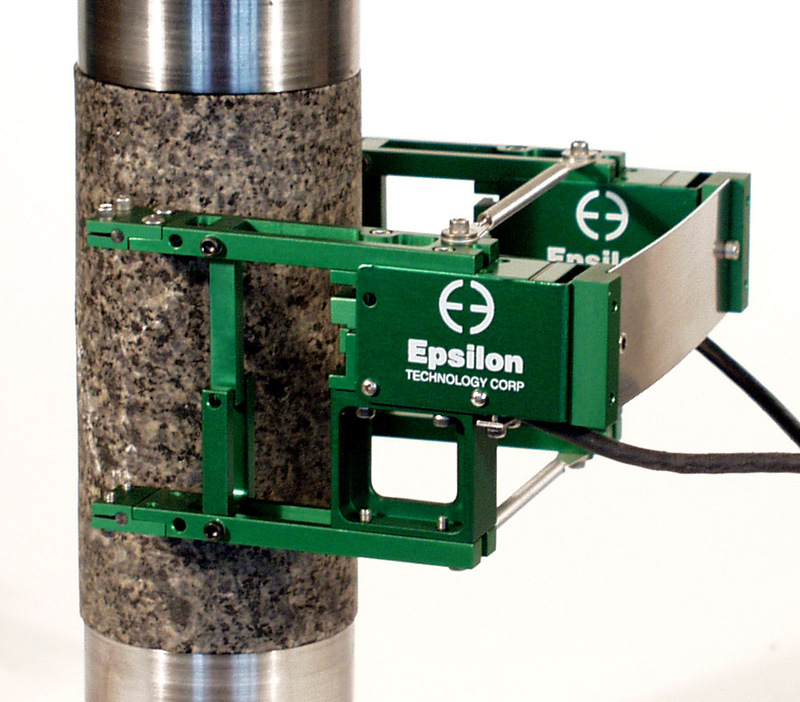 Epsilon’s rock extensometers can withstand the punishment of daily, high volume testing. Some units have been used for several thousand tests without damage.The conical point contacts included with the extensometer are made from tungsten carbide. The Model 3542RA extensometers are strain gaged devices, making them compatible with any electronics designed for strain gaged transducers. Most often they are connected to a test machine controller. The signal conditioning electronics for the extensometer is typically included with the test machine controller or may often be added. 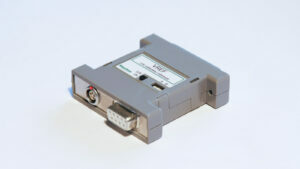 In this case the extensometer is shipped with the proper connector and wiring to plug directly into the electronics. 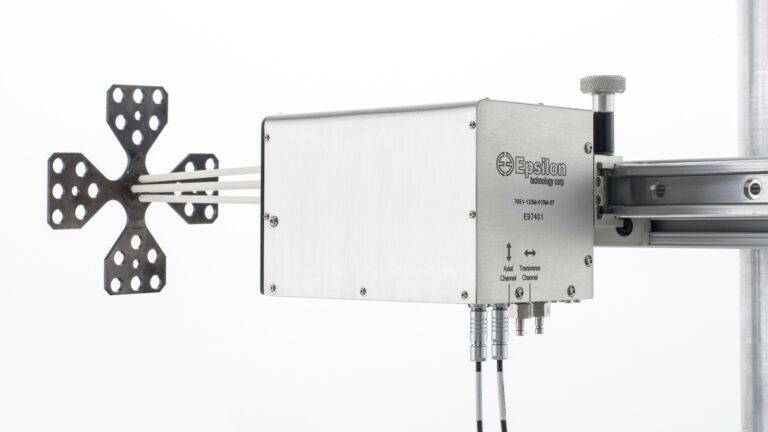 For systems lacking the required electronics, Epsilon can provide a variety of solutions, allowing the extensometer output to be connected to data acquisition boards, chart recorders or other equipment. Full bridge, 350 ohm strain gaged design for compatibility with nearly any test system. High accuracy, averaging output or optional dual independent outputs. 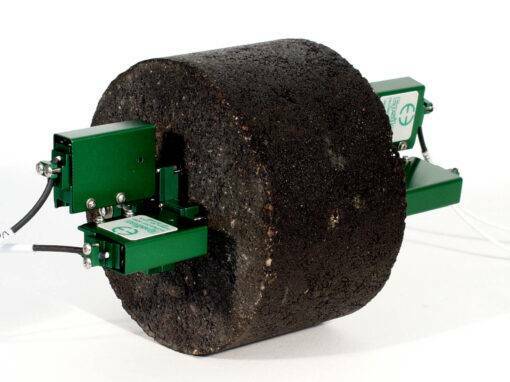 The 3542RA1 is configured for a single diameter size (customer specified), and the 3542RA2 works on sample diameters from 50 mm to 150 mm (2 inches to 6 inches). Special configurations of the 3542RA2 will allow for smaller diameter sizes. Easy mounting, attaches with integral springs. May be used simultaneously with Model 3544 circumferential extensometers or Model 3975 diametral extensometer. Standard units meet ASTM class B-1 requirements for accuracy. A test certificate is included. ISO 9513 class 0,5 test certificates are available upon request. 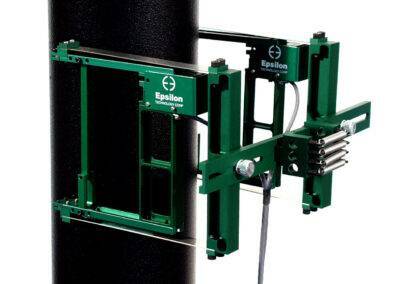 Includes the Epsilon Shunt Calibration System for on-site electrical calibration. Rugged, dual flexure design for strength and improved performance. Includes high quality foam lined case. Excitation: 5 to 10 VDC recommended, 12 VDC or VAC max. Model 3560 Available Versions: ANY combination of gauge length, measuring range and temperature range listed above is available, except as noted. Test specimen diameter(s) must be specified at the time of order. Other configurations may be available with special order; please contact Epsilon to discuss your requirements. ¹Additional diameter configurations are available with special order. If your unit is in need of service, calibration or repair, initiate the RMA process with us and we will be happy to assist. Sign up for our newsletter to get the most up-to-date information on products and services. Our 2018 Extensometer Catalog, Version 110 is now available! Not finding something you’re looking for? Ask us about a custom quote.